Fairy tales are kind of amazing. Even though they’ve been around forever, we never get tired of hearing them told. Even better, we love checking out all the new modern twists on them. Admit it, we’re all suckers for all the viral re-imagined Disney princess drawings for a reason! Fairy tales are awesome. That’s why we’re loving this trailer for a new fairy tale inspired movie, Charming! It takes a question we’ve never even thought of before, and makes it into a whole movie. What if the charming prince from every fairy tale story was actually the same guy? 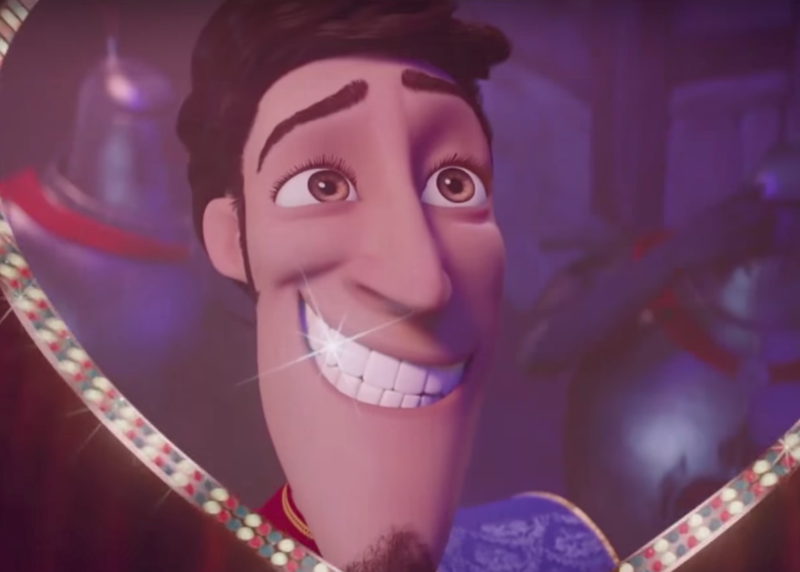 Charming re-imagines the character of Prince Charming as a “charming” lothario who strings every girl in the kingdom along. It’s implied that it is a literal curse that every woman will fall for him, and he kind of loves it that way. As if that weren’t cool enough, Avril Lavigne, Ashley Tisdale, and pop star G.E.M. play Snow White, Cinderella, and Sleeping Beauty, friends who are about to marry the same prince! Demi Lovato plays the no-nonsense girl that makes them realize this. Sia and John Cleese also are credited, and we’re excited to see what roles they bring to the film. Weirdly enough, Lovato’s ex, Wilmer Valderrama, is playing Prince Charming, so we’re sure to get some serious method acting from the two! The trailer is of course super funny and adorable, and worth checking out. Besides the total girl power cast, we’re psyched for this because it’s by the producer of Shrek! So it will most likely be filled with funny jokes, pop culture references, and all sorts of hilarity. The movie doesn’t have a set release date at the moment, but if the end tag in the trailer “Charming Soon” is any indication, we should be enjoying it a movie theater sometime in the near future. We seriously can’t wait!